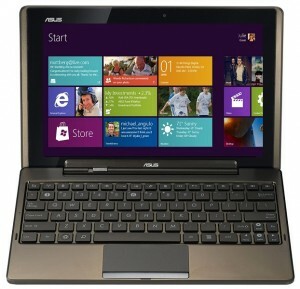 Tablet-News.net / Android / ASUS Eee Pad Transformer 2 Tablet With Windows 8? Asus ranks second with their ASUS Eee Pad Transformer, when comes to units shipping per month with 400,000 units. Just after Apple with their iPad 2. The 10.1 inch Android tablet from ASUS with it’s relatively attractive price starting under $400, is the best selling Honeycomb Tablet out right now. With all of the success we’re not surprised to find out that Asus is planning a follow-up to the current Transformer. In an Forbes interview on Friday Asus Chairman Jonney Shih confirmed the speculations about the next Transformer coming soon. Shih also added that the next-gen Transformer will be “impressive”. But did not mention why and what exactly to expect from the new slate. But next-gen Transformer is rumored to be powered by a quad-core NVIDIA Tegra 3 Kal-El processor chip, that is if NVIDIA starts shipping the chip this year. Also it’s possible to see the next Transformer have Windows 8 on board.